What is a photo librarian? I noticed someone searched for the keywords "photo librarian" and landed on this blog. I didn't post anything about the job because I don't do the job. However, our head librarian (of two) sent this notice to the photo staff, so I feel obliged to include it on this album (you are way too old if you understood the reference). Subject: We know you're wondering just exactly what Cris and I do. I hope this will enlighten you! Our primary function is to build and maintain a reputable and dependable photo archive. Our major goal is to have every published photo* preserved in the archive. Daily we move into the archive every photo from the previous day saved in these SCC libraries: DMN Staff, Photo BBS, DRC (Denton Record-Chronicle), and Al Dia Staff. If you saved your photos there, they'll be archived. This averages about 300 photos per day, and because of that amount we do not look at each one before moving it to the archive. So if you saved your wedding pictures, outtakes from those homemade videos or whatever else, they go into the archive! Too, if you include comments in your captions along the lines of "Those unbelievably egotistical, grossly overpaid, reality-challenged sports editors** had the names misspelled on the assignment sheet!," that gets archived as well. Next, we take the day's paper (usually three editions, four to five on Sunday, each with unique photos) and identify all the wire photos published and move those into the archive. Then, for each published photo we add publication date data, publication section data and any keywords that we think will make the photo more easily retrievable. For example, at the end of each photo caption you'll see a tag similar to this: 02142004xREL; this indicates that this photo was published February 14, 2004 in the Religion section. (Sorry, we don't do page or edition identifiers). We also look for, and correct, any obvious misspellings and spacing issues that might hamper efficient searching. I hope this answers some of your questions. If you have others, or if you have suggestions, complaints, tips, "how we did it at The New York Times" stories, or anything else, we'll be happy to talk with you. * Editorial photos, not brides, ads, etc. ** Any section editors, to be fair. From what I've observed, this isn't a job for most PJs. It's a great job for clerical people who enjoy the challenge of being calm in the throws of chaos and being surrounded by 40-year-old teenagers (me included). For those still interested, ask your local (large Metro) paper about a summer internship. I've never seen a summer photo librarian intern, but what the heck. Within the next five years, I expect Spanish to be required for this job. 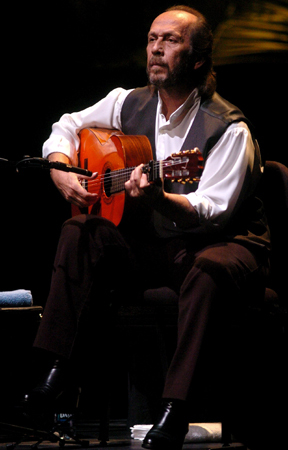 Al Dia, our Spanish language newspaper, has all its images archived in Spanish. The photo librarians must be able to make corrections to their cutlines and coding as well as ours. Irving Nimitz's Janet Montealvo (No. 8, left) and Irving's Laura Sollers (No. 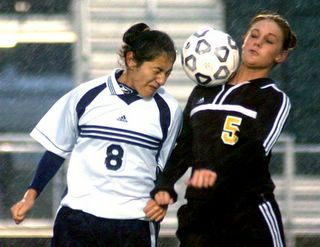 5, right) use their heads to control the ball during a girls soccer game at Irving School Stadium in Irving on Tuesday, February 24, 2004. This entry is written for PJ students more than the general public. Unlike most other entries, this post sounds more like an instruction manual than a casual explanation of how stuff works. The changes from third person to first person are unavoidable due to subject matter. An "assignment" comes from the photo desk. A reporter turns in a "photo request" (see "common photo request entry fields" below). This is a request to get a photo to accompany a story. The photo editor evaluates the request and places it with the most appropriate PJ or rejects the request. It becomes a "photo assignment" after the assignment editor places it on the schedule. The subtle terminology difference is because the assignment editor has the option to reject the "photo request." This happens daily. A PJ calls both the shoot and the paper an "assignment." If the PJ is extremely lucky, the information on the assignment is correct. Since the reporters aren't held particularly responsible for bad assignment information, some reporters aren't as diligent as most about accuracy. When I get an assignment, I preview it for obvious problems. If I spot something wrong, I'll resolve it immediately or the following morning (because I shoot nights and – although it would be fun to call some reporters at 4 a.m. – I understand the reporters don't work my shift). Items to immediately check on the assignment are logistical: is the assignment distant (out of town)? When is the deadline? Do assignments overlap? Are assignment times flexible or finite? Is there enough travel time between assignments? If not, where can I cut time? Will I need special tools for the shoot (hard hat, ladder, radio remotes, micro lenses, 600 mm lens, waterproof camera, etc…)? Although times, dates, addresses and a number of other problems can make an assignment fail from the start, I'll gloss over these problems for now. We'll assume the basic info is correct to get a PJ to the right place at the right time. Immediately upon arrival at the location, try to check the spellings of all proper nouns (names, buildings, events, etc.) and other assignment information. This is frequently an embarrassment to young reporters who are sometimes on location because they think we are double-checking their photo request accuracy rather than covering everyone's rumps. It typically furthers the embarrassment if names are indeed misspelled. After we have the correct spellings, identify the main subjects. Find ways to identify each subject with certainty while avoiding ethnic labels. This is sometimes impossible, but we'll go out of our way to avoid it. The male with black hair, brown eyes and blue jeans is distinctly different than the female with blonde hair, green eyes with glasses, and a pink skirt. Race is simply not a required identifier as long as clothes are not uniform. Therefore, there isn't reason to use it. * Note: Get the first and last names of all people and domestic animals photographed. Get the age of all people who appear 18-or-younger and 60-or-older (if they agree) as well as any domestic animals with names. Ask relationships of people or domestic animals (people with different last names may be married or parents, siblings, etc. ...). Get the breed of any domestic animals and the most accurate name of any non-domestic plants or animals. If you can't verify it's a bald eagle, then it's a "bird." Because lab techs may later pull a file, include all details in the notes to prevent an early-morning phone call. Make certain the lab techs can identify the subjects without questions. Yes, I have been called while camping in another state to verify information on a file photo. I walked the tech through my notes, and we were both certain of the identification. I'll do another blog one day about documenting signs, rosters and scoreboards to save future problems. Next, we must make certain we have the correct story information in mind before acquiring images. A smiling portrait isn't appropriate if the story is about someone losing their job, getting a divorce and becoming homeless. Likewise, the information on the assignment may be partially or completely wrong. Ensuring the correct information at the beginning of a shoot prevents a re-shoot and secures deadline. Once this is done, then shoot. If the assignment is a portrait, work with the subject to make the image match the story. If the assignment is about the event or someone doing something, fade into the background and document whatever happens. Assignment information varies at different organizations. As long as Who, What, When, Where, Why, and How (called “5 Ws”) are addressed, most photographers can handle the assignment. Below are the common information fields in a photo request database. Additional information is often presented to the editors to attach to assignments, however photographers often pick up assignments from remote locations. Assignment number ; date of shoot ; start time ; end time ; Is time flexible? ; assigned photographer ; subject/person ; location (include as much detail as possible, i.e. cross streets, directions, city, map locations, etc.) ; contact ; contact phone ; are we expected? ; location contact ; location phone ; reporter ; reporter phone ; travel with photographer? 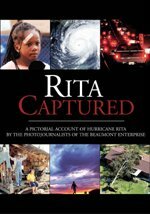 ; story summary (as much detail as possible, what the photos should illustrate, important people and events, etc.) ; story slug (file name of story) ; Credential information (required or not, where are they to be picked up, have they been previously arranged?) ; created by ; approval editor ; photo editor ; due date ; due time ; run date ; deliver to ; department/section ; assignment status (new, in progress, complete). Flamenco guitarist Paco de Lucia performs at the Bass Performance Hall in Fort Worth on Wednesday, February 18, 2004. Southlake Carroll's Kelsy Sargent (No. 33, right) goes down hard while chasing a loose ball during the girls basketball bi-district playoff game against Irving Nimitz at Irving High School on Tuesday, February 17, 2004. Carroll won the game 58-40. I am happy to announce (late) the 2nd place win of DMN senior photojournalist David Leeson in Spot News Story at the World Press Photo competition. This is one of the hardest/strangest competitions for Americans because it is a huge competition (open worldwide entry with no fee and a big cash prize) held in The Netherlands. Most Americans are not really sure what the heck their judges want (lots of blood helps though). Nonetheless, this is yet another huge accomplishment for this highly acclaimed photojournalist. We are also forced to say a heartfelt "good luck" to Damon Winter who has gone on to greener pastures at the Los Angeles Times. He is a truly great photographer who will be missed most for his gentle nature. This means ... our editors will start pouring over all the contest winners from the last few years to see who they want to contact. Now do you understand why these darn contests are important? When I was a kid, my family raised miniature schnauzers. Our "kennels" (I shared my bed with five dogs) didn't show dogs, but we had the finest available. My mom didn't think the way schnauzers are groomed for show was kind to the dog, so we didn't subject our buddies to this torture. However, we wanted to provide the best possible puppies. So, we purchased dogs with the best possible pedigrees (mostly champions). Before we purchased a puppy for Fuzzyland (the name of our line), we would research the lines on several top dogs. We would look for dogs with clear medical backgrounds and the most solid championship lines. We gave extra credit to any CDX (child disciplined excellent) obedience champions. These were smart and well-behaved dogs. So, we got and produced smart, cute puppies. We paid a premium price to get these critters because we knew we could charge a premium for their puppies. On a puppy pedigree, each parent is listed for up to seven generations (128 names - 2^7). The names of champions are listed in red and the names of non-champions are listed in black. A great dog will have more red than black names. We tried to get puppies with no black names. When editors are picking future photographers, they will want someone with proven performance (ie. competition wins). The better the newspaper, the more they will pay their employees because they will have a high expectation on their performance (see note 1 above) and will not want to lose them to the competition (see note 2 above). In puppy terms, this means the photojournalists chosen at big papers have all-red pedigrees. So, if you have 128 major competition wins, please send a resume to the photo department. For those starting into this field, have a little fun with the process. Buy a blank pedigree and track your success. Set some standards and fill in the form. For example, if you compete in the NPPA monthly clip contest for your region, write in black on the 7th generation "NPPA monthly clip-Jan 2004." If you win, place or show, change it to red or mark it with a highlighting pen. You'll have the seventh generation filled out in no time if you keep at it. Research other various competitions and put them at different levels or generations. Photographer of the Year at POY or BOP means you are a champion, so generation 1 becomes red and you can apply to any paper. An individual category win might be generation 3 or 4, whereas essay and portfolio categories are higher generations (it's yours to choose). Don't freak if you have mostly black contest names. The point is to have entered the competitions and filled in all the blanks because for every winner, there are thousands of non-winners (not really losers per se). Bishop Lynch's Michael James (No. 10, right) is pushed down by Fort Worth Nolan's Stephen Tucker (No. 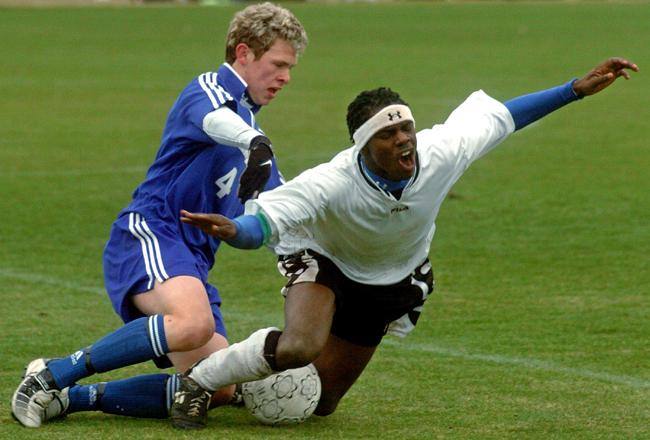 4, left) during the TAPPS Winter Soccer Championships boys Division I championship game at Baylor University in Waco on Saturday, February 14, 2004. The game was tied at 0-0 when it went into overtime. 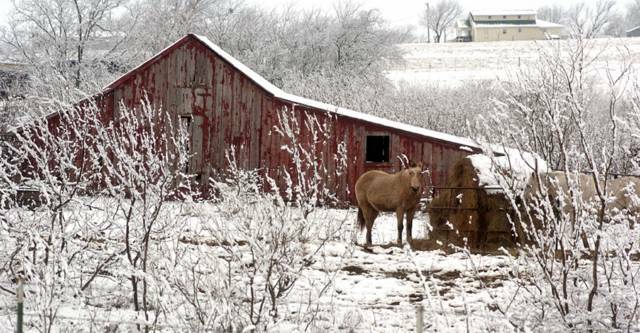 A horse eats hay in a snowy barn area off I-35 near West, Texas Saturday, February 14, 2004. Snow covered much of North Texas on Valentine's Day. See, it snows in Texas. I almost slid my Sportage into a small creek after getting this shot. I gunned the engine and got free, but I kept thinking I would be killed if I missed the soccer championships in Waco due to some disinterested horses.